Some Republican lawmakers in Michigan want to prevent state departments from creating rules that are tougher than federal regulations. They’re backing a bill that would allow only the Legislature to do that unless there are exceptional circumstances. The bill, introduced by Rep. Triston Cole, R-Mancelona, would encompass rules that would regulate sectors as diverse as business, the environment and manufacturing. It’s the third time in six years that the legislation has been pushed. And opponents fear this time there may be enough political will to pass it. The Michigan Environmental Council questioned why lawmakers would want to take away the governor’s power and put it in the hands of the federal government. “Why should we demote the governor and his ability to protect Michigan?” said James Clift, the policy director for the council. Clift said the bill would give the decision-making power to the Trump administration. He said this would directly impact quality of life in Michigan, especially considering the federal government’s lowering of its own regulations. Supporters of the bill say that’s good because it will require state departments to show there really is a need for a rule that is more strict than federal regulations. Geer said the bill would prevent state departments from doing whatever they want. But critics fear the bill will force the state to be reactive instead of proactive. Geer said many of the rules in Michigan that exceed federal standards relate to environmental laws, and the bill shines a light on that. He said it would force state departments to prove why they are necessary. That would help businesses because they wouldn’t have to meet standards significantly higher than the federal level, he said. The Michigan League of Conservation Voters says the standards set by the federal government are a minimum requirement all states must be at or above. The Michigan Environmental Council agrees, Clift said. 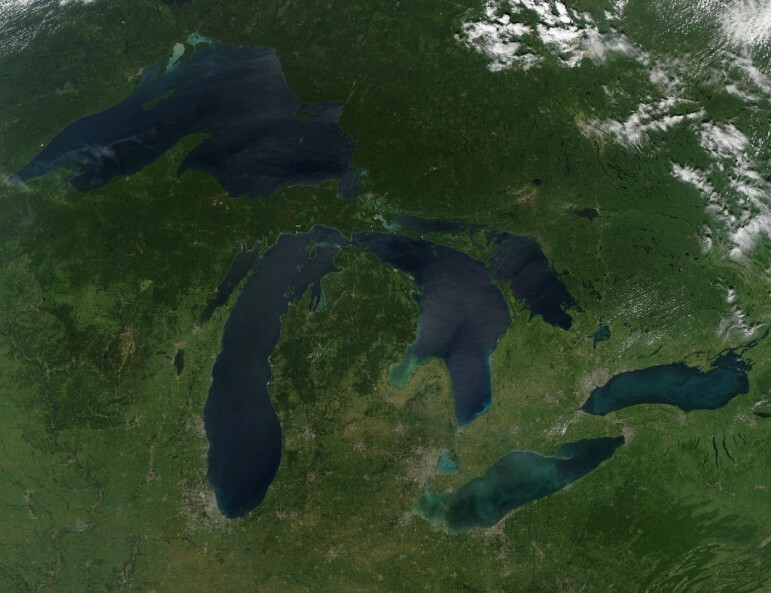 Officials at both environmental groups say their biggest concerns relate to the Great Lakes. Stricter rules are needed to protect the lakes, Jameson said. This is not the first time a similar bill has been proposed. Gov. Rick Snyder vetoed one in 2011. And in 2016 one cleared the House but never made it out of the Senate. Sen. Jim Stamas, R-Midland, said he thinks the bill will pass in the Senate this year. He sits on the Oversight Committee that approved he bill, and he supports it. One challenge could be protection of wetlands, Stamas said. Michigan is one of only two states that administers the federal wetland program. There is a lot of support for keeping wetlands under state control, he said. Clift said he is concerned the governor may sign the bill this time because Snyder has not made a statement in opposition to it. The governor isn’t saying. He’ll evaluate the final version if and when it reaches his desk, said Tanya Baker, the deputy press secretary in the executive office of the governor. Clean Water Action members and Plainfield Township residents gathered at the Capitol on Oct. 10 to oppose the bill and highlight contaminated drinking water in that Kent County community. That contamination was caused by Wolverine Worldwide, a footwear manufacturer. Sean McBrearty, the campaign organizer of Clean Water Action, said the bill threatens public health because the Department of Environmental Quality would be unable to more strictly regulate contamination in drinking water. Sen. Peter MacGregor, R-Rockford and who represents Plainfield Township, issued a statement saying the bill was not created in response to water contamination there. “This bill was not introduced or approved by the Senate Committee on Oversight in response to the current situation, nor can it be retroactively applied to the ongoing issue in Plainfield Township,” MacGregor said. The bill passed 57-50 in the House in May. It was reported from the Senate Oversight Committee on Oct. 5. It’s unclear when the Senate will take a vote on the bill. MacGregor has asked the Senate to pause the bill, according to McBrearty. MacGregor could not be reached for comment.